On December 13, 2017, Hanking Center’s Leasing Center was formally put into operation. The “Future of Office” Innovation & Experience Salon will present various enterprises settled with an epoch-making business feast. On November 4, 2017, Hanking Group in association with Shenzhen Zeus Cultural Communication Co., Ltd. invited various up-and-coming post-90s generation photographers to attend the opening ceremony of the “Salute City” Photography Exhibition and achieved a full success. “Creativity Inspires the Future” Hanking Group’s 10th Anniversary Celebration & Brand Strategy Press Conference was grandly held on October 27, 2017 at OCT Intercontinental Hotels & Resorts, achieving a full success. From March 12 to March 18, Peak Boulevard Project was completely delivered, and the high-end life that people long for was brilliantly presented. During the 7-day house delivery, all 252 proprietors smoothly accepted their houses, achieving the one-time house acceptance ratio of 100%. The 9th Anniversary Ceremony of Hanking Group was successfully held on May 21, 2016 at the Goodview Hotel in Tangxia, Dongguan. 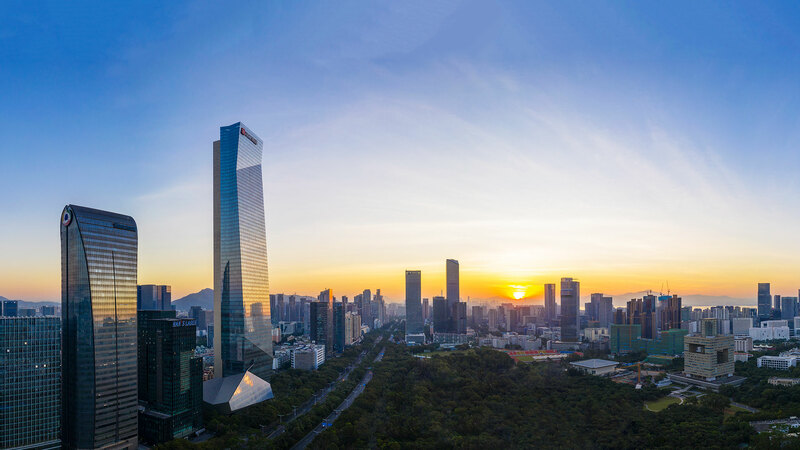 In order to further develop the city, Hanking Group obtained the urban renewal project of Xintangwei area in Longgang District,Shenzhen on April 14, 2016. ‍‍On September 13th, Qianhai Free Trade Zone hillside luxury mansion【Hanking Peak Boulevard】had a grand opening, and set a sales record of over RMB 1.5 billion in 2 hours, with 90% units sold. It perfectly realized the summit value of luxury residence with the rare mountain view in Qianhai Free Trade Zone.